The Officer’s Reports for the Rigby and Newman Avenue proposed developments (19/12/2017 Agenda – Items 9.2 and 9.3) recommend approval at the next Tuesday’s Council Meeting subject to conditions. The conditions listed are basically those agreed to by the developer at the belated Planning Conference or the stock standard conditions. the use of basement car parking to increase dwelling yields and investment returns. All open up huge development potential within the NRZ. The NRZ will now provide the diverse housing options the General Residential Zone (GRZ – 3 storey height limit) promised but failed to deliver. that are distant from the services and facilities offered by (and used to justify the creation and proposed expansion of) activity centres. then rocket science is not required to foresee the future of the many NRZ lots that exceed 700 sqm (or the 650 sqm as per VC110’s schedule for determining garden space requirements). 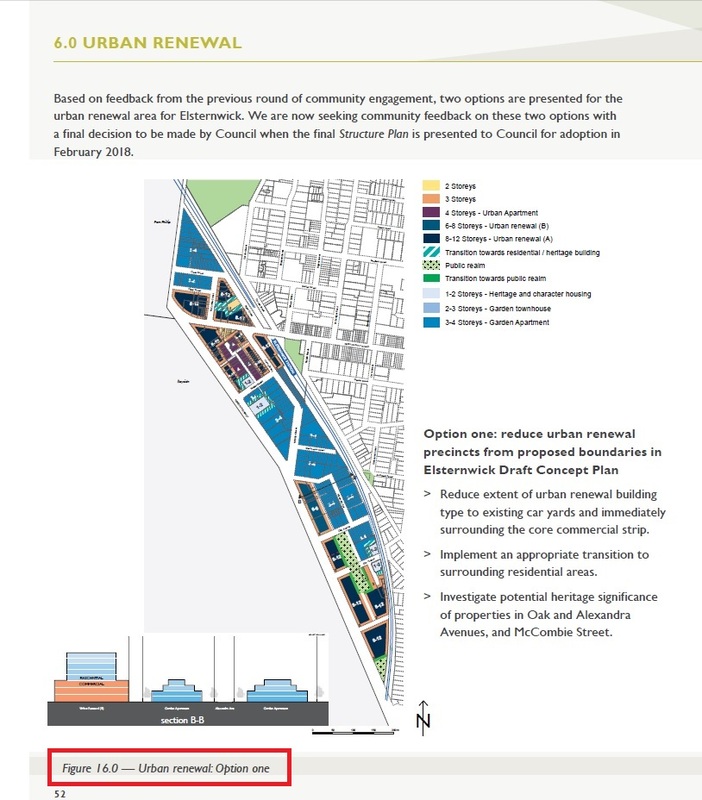 Adverse impacts expected will be reduced amenity, livability and sustainability in the zone previously identified as the “more sensitive residential areas”. To support this we refer to an article commenting on Amendment VC110 impacts (published by Maddocks – legal planning law specialists, frequently consulted by GE Council). 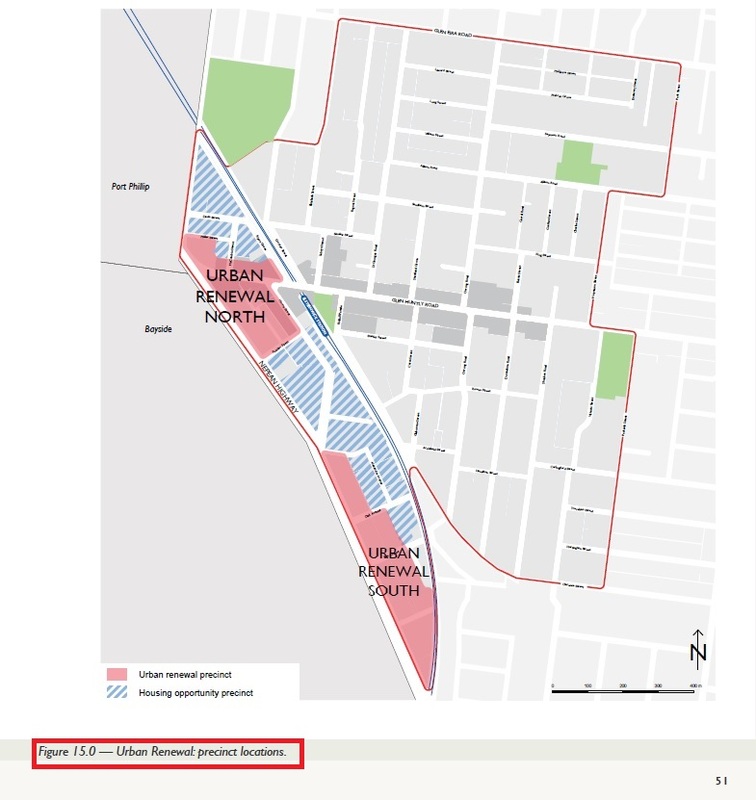 Glen Eira’s 2016/17 Annual Report now expects a 50:50 split between development in Activity Centres (high density areas) and the NRZ (formerly minimal change areas). With regards the above article’s reference to “existing local controls”, GERA has a major concern re Neighbourhood Character. While it has huge significance in the assessing of, and the objecting to, planning permits, unlike Heritage it’s planning provisions are not well known to residents. 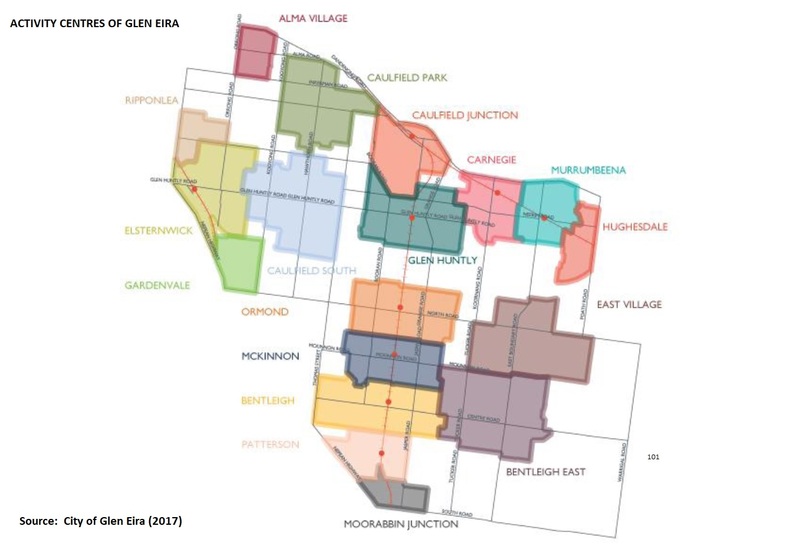 Clause 43.5 Neighbourhood Character Overlays (NCO) – Glen Eira has 6 overlays . 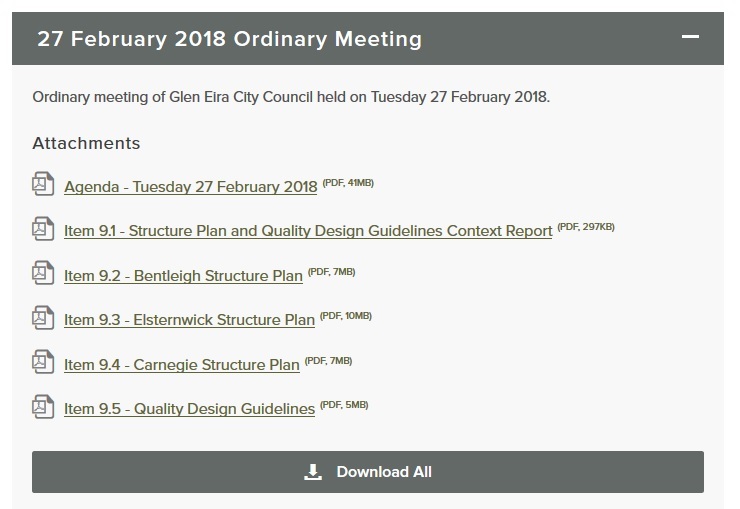 Clause 43.02 Design and Development Overlays (DDO ) – Although, other Council often use DDO’s in conjunction with NCO’s, Glen Eira rarely does. Policies – widely accepted as carrying less weight than Overlays. These policies include character statements for areas not covered by an NCOs. GERA strongly encourages readers to research and assess the character statement applicable for their location. VC110 also removes the purpose of “To implement neighbourhood character policy and adopted neighbourhood character guidelines” presumably because they are now to be included in the zone schedule. 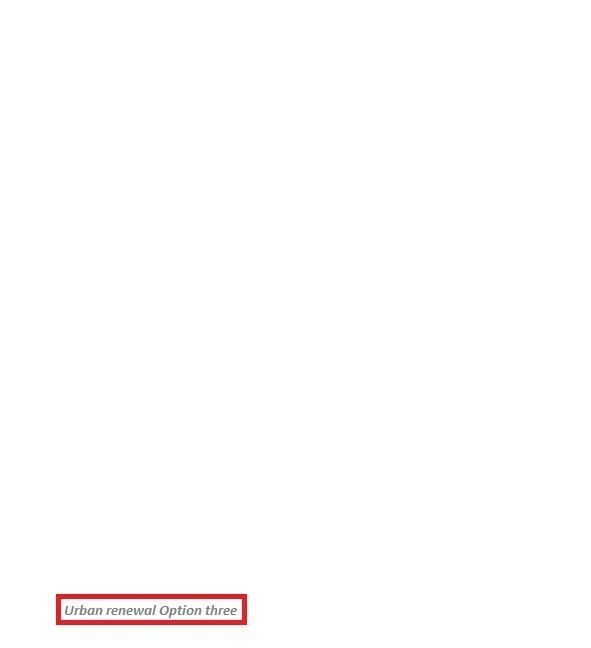 Contact Council with any proposed changes and request they be included/excluded. Applications for a Planning Permit are assessed against the Planning Scheme that exists at the time permit was lodged – subsequent changes to the scheme receive little consideration. At next Tuesday’s (19/12) Ordinary Council Meeting, two unrelated planning permit applications are scheduled to be presented to Council. 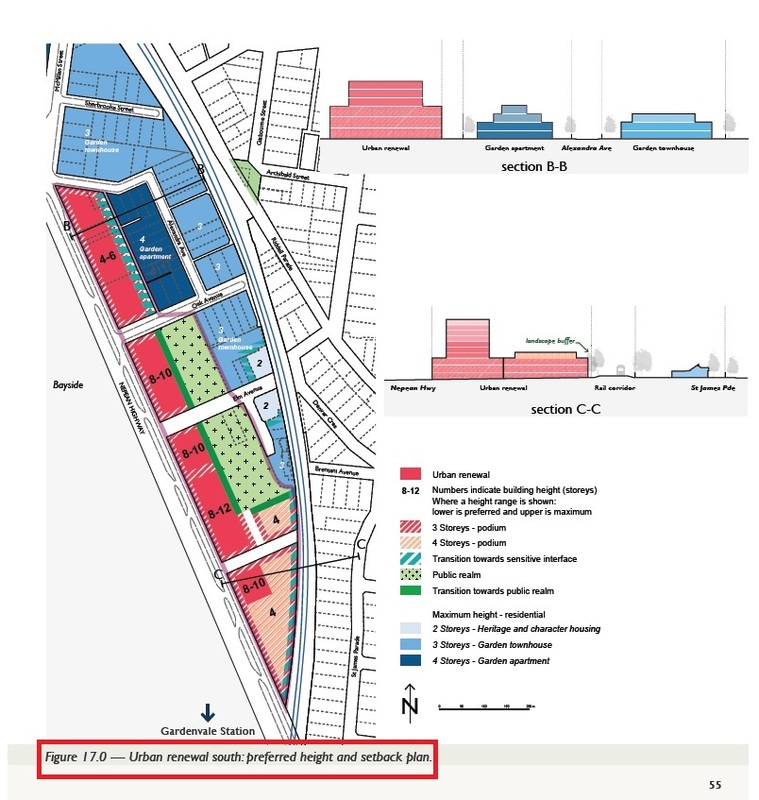 These applications relate to properties in the Carnegie Neighbourhood Residential Zone (NRZ1) which feature maximized townhouse dwelling yield (density) via the combination of basement car parking (vehicle access and garaging below ground increases ground level development space) and the Ministerial removal of the 2 lot subdivision limit (Amendment VC110). Given that the NRZ1 ( a.k.a. 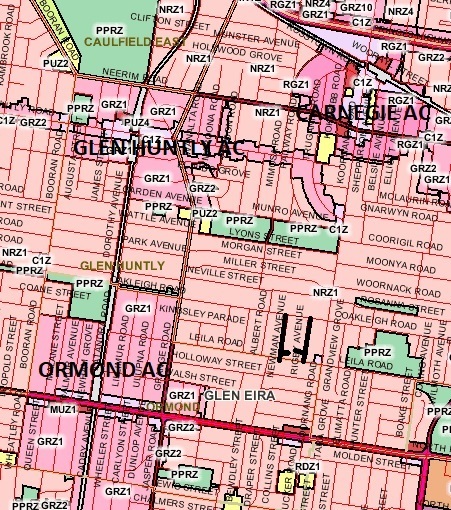 “the most protected residential zone”) covers a reported 70-80% Glen Eira, approval of these applications sets a precedent for future “more intensive development” that is incompatible with the intent of the NRZ and is more compatible with the activity centre growth zones (without providing proximity to services and transport). Neighbourhood Residential Zone – maintenance of the existing character of predominantly single and double storey residential in garden settings on tree lined streets. A GERA comment – Garden settings includes mature vegetation. Mature trees and basement car parking are not a good mix. Growth Zones (Residential Growth Zone – RGZ, 4 stories and General Residential Zone – GRZ, 3 stories) – moderate to medium density developments offering good access to services and transport and diversity of housing types. 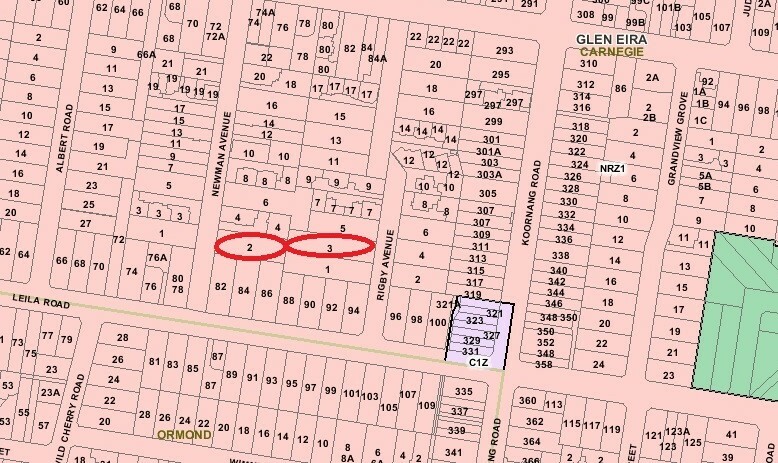 GERA believes these developments are the “thin edge of the wedge” for future development of Glen Eira’s Neighbourhood Residential Zone. 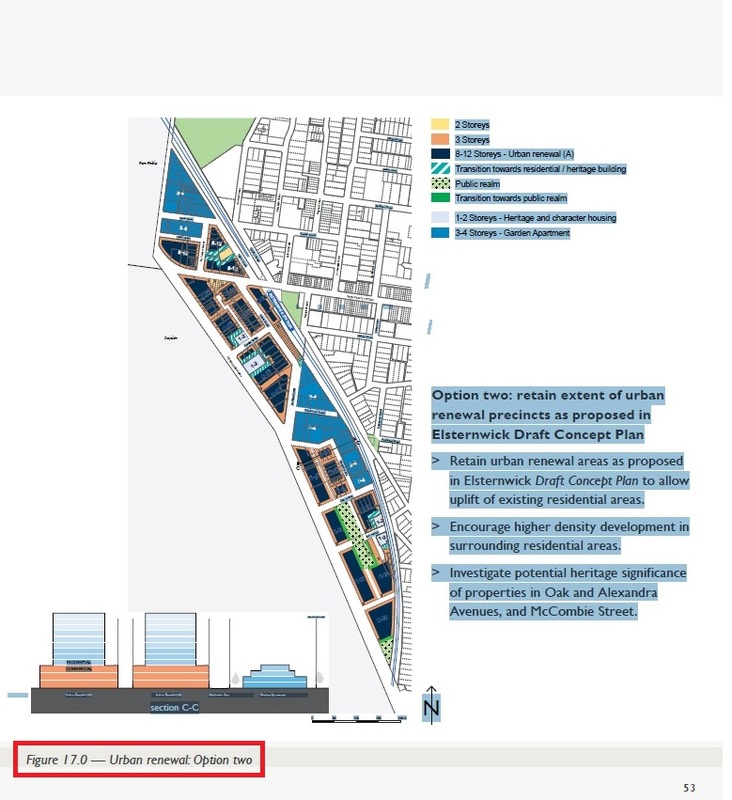 We note in that, in the Planning Section of Glen Eira’s Annual Report 2016-2017 Council’s performance measure for evaluating the success of the strategy for providing diverse housing types has become 50% of new dwellings in the activity centres (and ipso facto 50% NRZ). This contrasts with previous years when the split was 70:30. Given the proposed expansion of activity centres and proposed housing mix within the centres, we call upon Council to provide the justification for this change. Maximum building height increase from 8 to 9 metres with a new 2 storey height limit. Provisions allowing for slight height increases due to land slope or flooding remain. Implementation of a mandatory “garden” area requirement that varies according size of the lot to be subdivided. 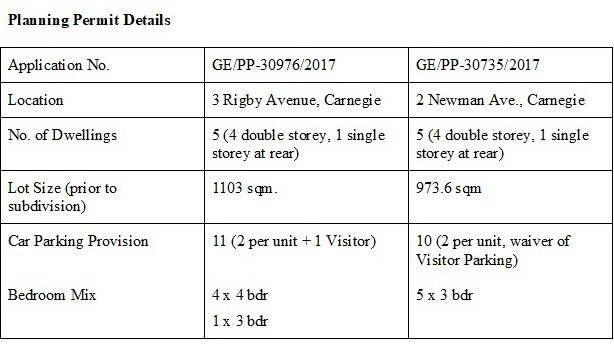 In terms of the above Carnegie applications (with lot sizes of 1103 and 973.6 sqm. ), the “garden” requirement is 35% and is being met by the strip of land between the lot boundary and the underground basement car park. The northern side, front and rear “strips” will be divided up as private open space for the town houses while the southern side strip will be common ground providing garden areas and pedestrian access to townhouses. GERA agrees with, and supports, the residents objecting to these developments. 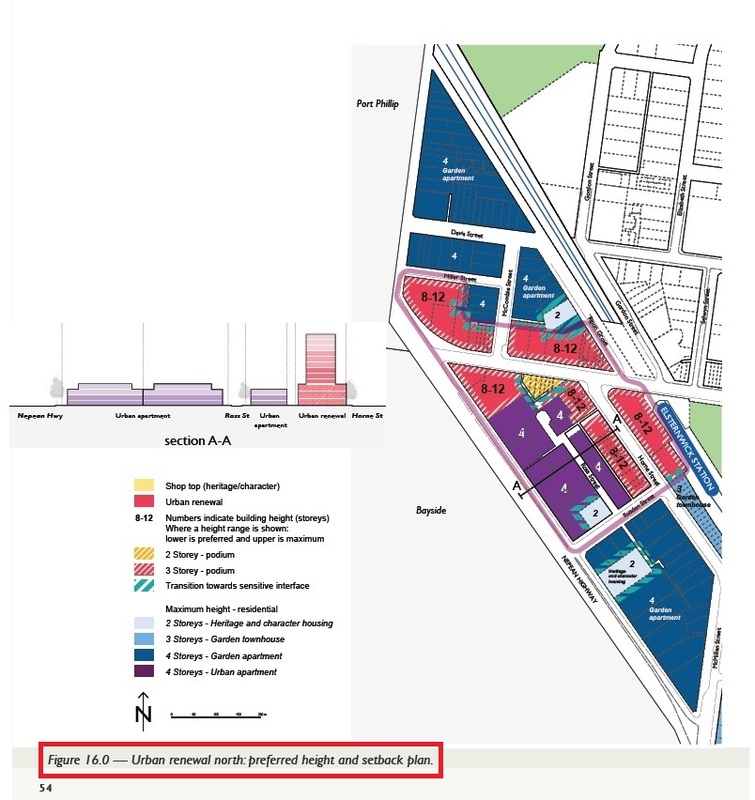 Not only do the developments substantially adversely impact their amenity (traffic, parking, overshadowing and, overlooking – internal living areas and private open space), they are also at odds with Council’s Planning Scheme and Policies, Quality Design Guidelines and the intention of the NRZ. A comprehensive summary of the grounds for the objection, tailored to the 3 Rigby Avenue application and pertinent to the Newman Avenue application, has been prepared and provided by the objectors. Their intention is to assist residents objecting to similar inappropriate developments in the Neighbourhood Residential Zone. As previously mentioned, these 2 permit applications will be discussed at next Tuesday’s Council Meeting (19/12). This Meeting’s Agenda, which will include the Officer’s Recommendation on these applications, will be published late tomorrow (Friday, 15/12). Although what the recommendation will be is not currently known (hopefully, it will be in line with residents objections and the intent of the NRZ), the Council discussion on these 2 application will be interesting and provide insight into Council’s intentions for the future development of the NRZ. NRZ resident attendance at the meeting should be worthwhile. BTW – For those unable to attend, this meeting is currently scheduled to be the first Council Meeting to be live streamed. Look for a Council announcement providing the necessary details to access the live streaming. As usual, please feel free to add your comments on the Glen Eira Residents Association Facebook page.